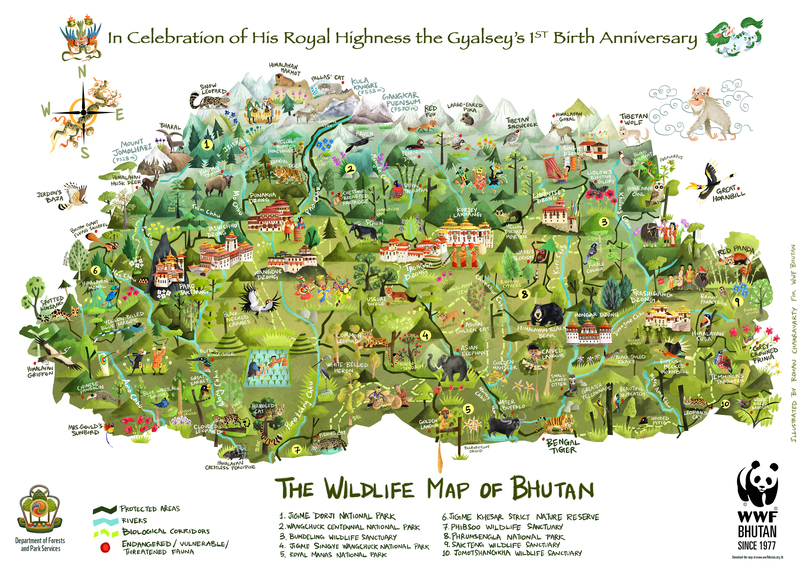 WWF Bhutan and the Department of Forests and Park Services released the Children’s Illustrated Wildlife Map of Bhutan on February 5, in celebration of His Royal Highness the Gyalsey’s first birth anniversary. It was launched by Prime Minister Lyonchhen Tshering Tobgay. The Prime Minister said that children would love the map and love learning from it. He also said that we collectively needed to protect the map, the environment and biodiversity that we are blessed to have. 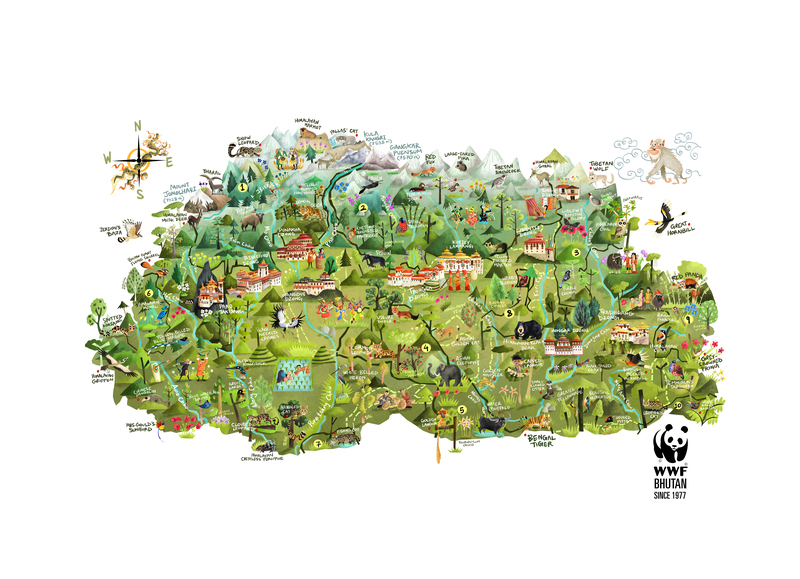 The Illustrated Wildlife Map of Bhutan is first of its kind. Using artwork and creative visuals, the map will serve as an important environmental education and awareness tool. Bhutan’s lush forests, the rich biodiversity, culture, animals, birds and people are all captured through colourful caricatures. The aim of the pictorial map is to instil curiosity and excitement, especially among children, to learn about these animals, the nature and in preserving the environment around them.